Gum disease is a broad term used to describe any of the conditions affecting the gums and the other soft and hard tissues that support the tooth in its socket. It has been estimated that about 20% of the adults in Australia are affected by gum disease*; commonly resulting in tooth loss when left unattended. Before we get on to the details about the best treatment for gum disease, let’s first know about it in detail. What are the types of gum disease? Gingivitis refers to the inflammation of the gums. It usually results from poor oral hygiene that causes the accumulation of a soft film called plaque on the teeth, which contains many different types of bacteria. Plaque can cause irritation and inflammation of the gums. The gums may look red, shiny, swollen and may bleed if touched or while brushing. Gingivitis is usually the predecessor of periodontitis. Periodontitis is a much severe form of gingivitis. It is associated with infection and inflammation of the bony structure and the soft tissues that support the tooth within its socket. If plaque is left unattended, it gets hardened over time resulting in deposits known as calculus. The irritation of the gums continues unabated if the calculus is not cleared, and leads to the inflammation of the bony structure and soft tissues surrounding the tooth root. Eventually, the bone and gum tissues may shrink leading to loosening of the affected teeth. Am I at risk of gum disease? Gum disease can be noted in both children and adults. Poor oral hygiene is the main cause of gum disease. However, some may be at a higher risk of developing it. People with braces are at risk as it is difficult for them to brush. Those who smoke are also at a higher risk. In some, regular consumption of certain medications may lead to swollen gums. Long standing illnesses/conditions such as diabetes can also increase the risk of developing gum disorders. Those in whom the immune system (body’s natural defence) is weakened are also prone to this disorder. What are the best treatment for gum disease? Maintaining oral hygiene is the best treatment for gum disease. However, if it develops, there are many ways in which it could be treated. With preferred providers charging considerably a higher margin on services they provide, not everyone can afford it. In such cases, most people will be perplexed with the question. What is the best treatment for gum diseases they could follow? There are few home care tips which can help prevent gum disease. These can also be helpful in treating it during the initial stages. Flossing on a regular basis can also help prevent the formation of plaque. A thorough evaluation and management may be necessary for the treatment of gum disease which persists even after home care. This is especially required in those with an extensive disease which can cause bleeding of gums and tooth loss. 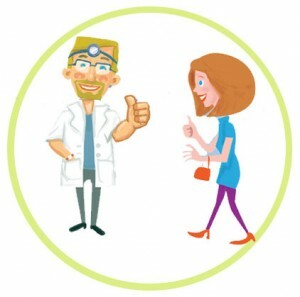 At the dental clinic, the dentist and/or the hygienist will first evaluate the current stage of oral health and suggest the best treatment for gum disease. The treatment can range from simple cleaning of the deposits to flap surgery (a procedure where the gums are separated from the bone to expose the deeper portions of the tooth; the gum is sutured back after a thorough cleaning of the tooth root). The mechanical process of clearing the hard deposits on the teeth is known as scaling. The dentist or the dental hygienist uses an ultrasonic instrument called scaler to clear the deposits. This instrument dislodges the deposits through ultrasonic vibration without damaging the tooth. You may experience bleeding from gums during this procedure, which is normal and stops after a few minutes. 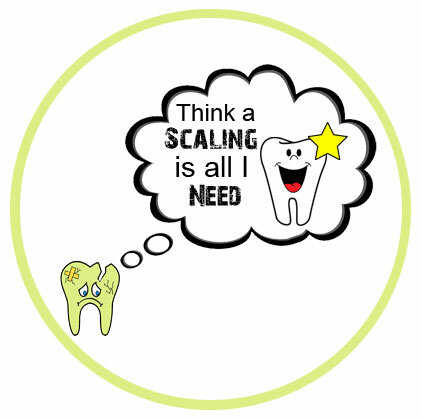 The scaling is performed during a single appointment or multiple appointments depending on the extent of deposits and stains on your teeth. In some cases, a deeper cleaning may be required to clear the deposits on the root surface area of the teeth. Periodontitis is generally associated with a considerable amount of bone loss around the tooth root. However, in the majority of the cases, this bone loss can be arrested or restored. Gum surgery involves detaching the gums from the bone to expose the affected regions and clearing the deposits and other debris. Bone graft may be placed if there is a significant amount of bone loss noted around the roots of the teeth. This is followed by suturing of the gums to ensure reattachment of the gums. Such procedures may be needed in all affected regions of the mouth over single or multiple appointments. How do I care for my gums? Treatment for gum disease can be successful only if you take good care of the gums after the treatment. Oral hygiene should be maintained well for successful healing of the gum tissues after scaling and gum surgery. Care should be taken to prevent the accumulation of plaque and calculus over the teeth. The dentist may prescribe mouthwashes to reduce the infection and inflammation in the gums – this needs to be used as instructed. Meet the dentist for follow up. Most common dental problems in children can be avoided with little parental care and by following proper dental practices. Younger children need attention while brushing and hence one of the parents needs to be with the child while he/she is brushing. 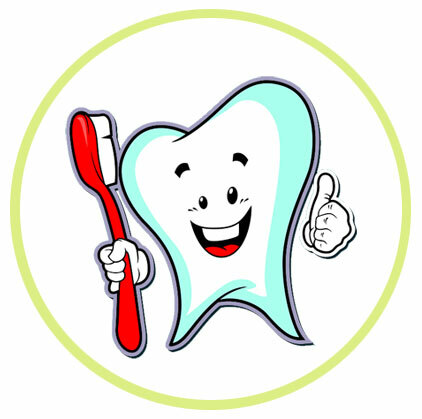 Proper brushing, when taught during the early ages, ensures better oral health even during adulthood. 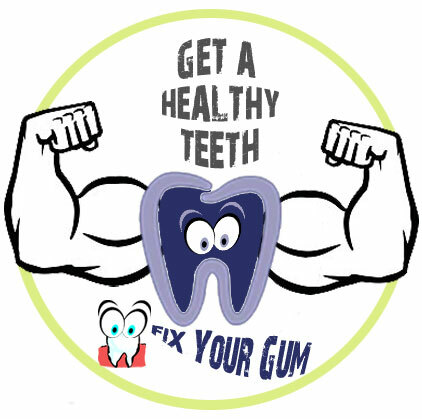 Gum disease is a preventable condition. It also can be treated to prevent the loss of teeth, if identified in the early stages. Schedule an appointment to get your gum health evaluated.